On a good late-summer day in New Mexico, you’ll smell tortillas being made, green chiles being roasted, and the smoke from burning piñon wood wafting in the air. Or maybe just the green chiles. That’s good enough. Heat your grill for 5 minutes on high, or fire up the charcoal. Place the green chiles directly over high heat for about 5 minutes, then flip and cook on the other side for 5 minutes more. The outside of the chiles will be scorched and black, but the flesh of the chiles will cook and make steam, which will make the skins separate from the flesh. Some chiles will pop, or the skins will open up, and that’s good. 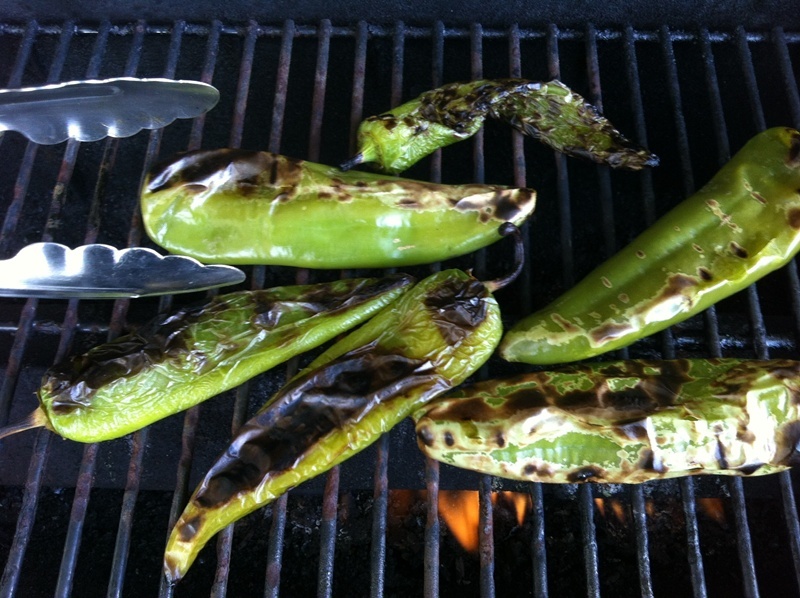 Grills usually have hot spots, so move the chiles around until they get charred and blistered. The color will go from a vibrant green to a dull olive-green. Remove the chiles that have cooked and drop them into a plastic bag, or a covered plastic 5-gallon bucket, and lightly close bag or bucket. The steam will help the skins separate from the chiles. Don’t worry, the hot chiles won’t melt plastic bags of any sort. When the chiles are cooled enough to touch, rip off or cut off the stem end, and slide the skin off of the the chiles. You can either tear open the chiles and rub out the seeds, whack them on the edge of a sink to make the seeds fly out of the open end, or hold the chiles by the tip with one hand, and slide the chile between the index and middle finger of the the other hand to squeeze out the seeds. Skins on left, chiles on right. After cleaning the chiles, you can save them whole, or chop them for chile sauce. 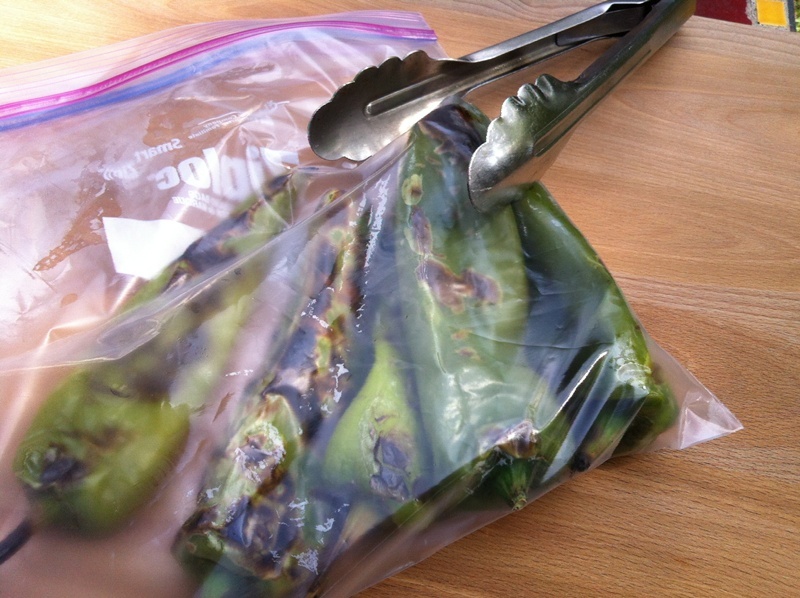 To prevent freezer funk, put chiles in thick freezer bags and wrap the bags in aluminum foil. Each chile weighs about 1 ounce, so about 8 or 9 chopped chiles make a cup. It’s best to clean chile outside, dropping the seeds and skins into a plastic-bag line trash can. Chiles can be roasted in an oven, directly under the broiler, for very good results, though your kitchen might get very warm. If you clean more than a few pounds of chiles, use plastic or latex gloves to clean them, or your hands will become numb for a short while. These gloves are available in the broom and mop section of a grocery store. If you rub your eyes while peeling chiles, don’t worry, you’ll never do it again. 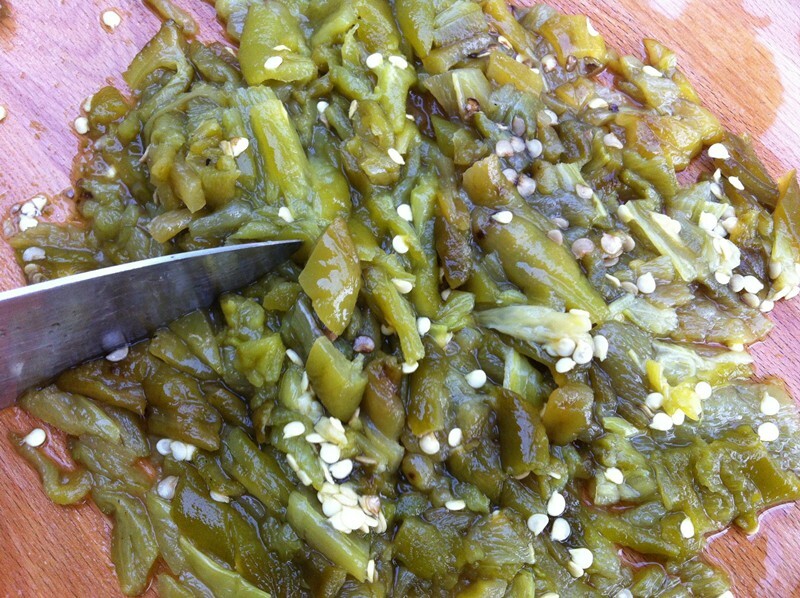 Outside of New Mexico, Hatch green chiles are sold as either hot or mild. The best way to test it is to break open a raw chile and eat a piece to see if it’s a heat level you like. The heat of Hatch green chiles change every year, depending on the weather in New Mexico. Click here for a classic Hatch green chile sauce. Be careful if you’re not in New Mexico, and you have your chiles roasted in a mechanical drum roaster. Some of the operators will roast them at too high a temperature, and the skins will get over-roasted and break into little black fragments that stick to the flesh and a beast to remove. Some people don’t bother to peel the chiles after roasting, and put them in the freezer with the skins on. That works just fine. A hot pepper in the Southwest and Mexico is a chile. Texans make pots of chili, with meat and no beans, and chillies are those little hot peppers that the Spanish spread around the world to Asia and other continents. 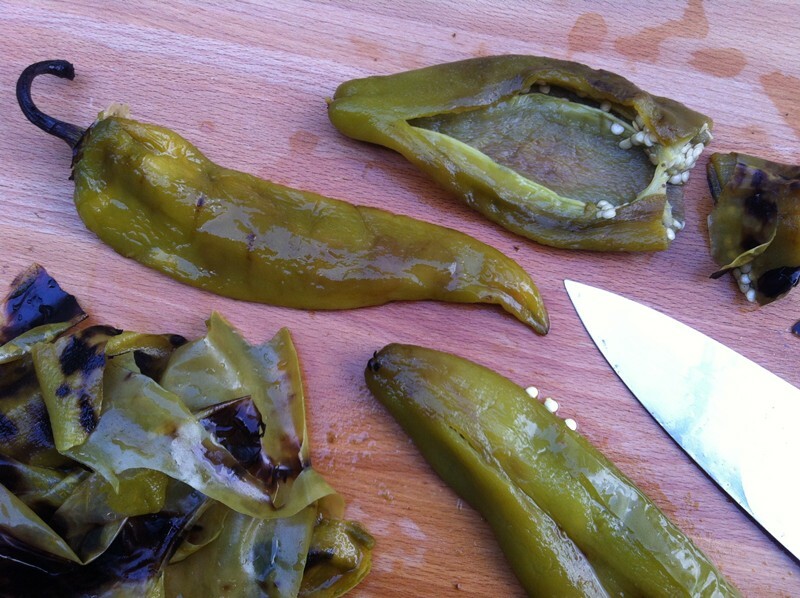 What Can I Do With Hatch Green Chile? How to Cook Brown Rice. Do Not Cook It Like White Rice.